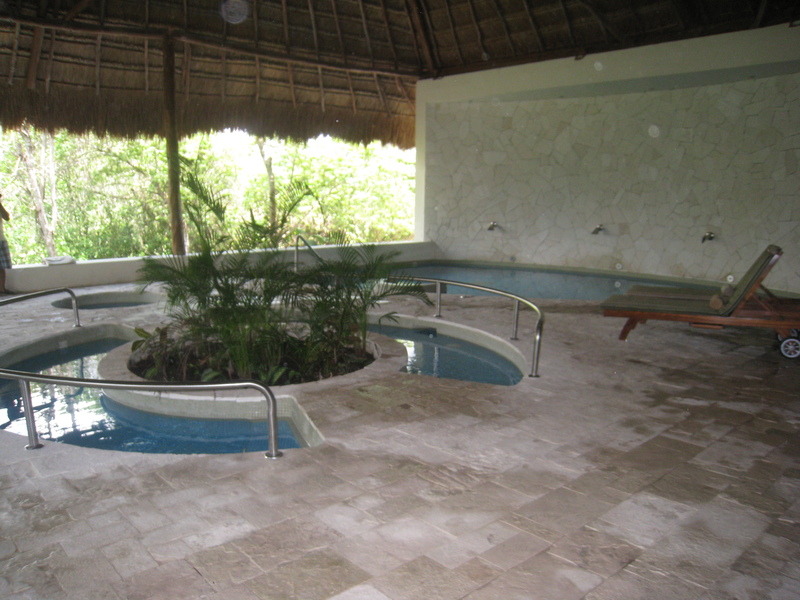 It’s no surprise that the hot Mexico sun can dry out skin especially when you’re laying by the pool or on the beach for hours per day. At Secrets Marquis Los Cabos, we realize the importance of ensuring that your skin stays healthy and keeps its elasticity by offering a number of spa treatments to help you feel rejuvenated. Today, we’re going to highlight one specific spa treatment, the Water Lily Sun Relief Body Wrap, that is available at our Secrets Spa by Pevonia and is the perfect treatment after a day outside. The Water Lily Sun Relief Body Wrap provides immediate relief to sun-damaged or sun-sensitive skin with the use of a therapeutic, soothing water lily wrap. Guests who experience this treatment can enjoy immediate cooling and desensitizing relief from burning, itching and stinging sensations. This healing treatment specifically decreases the skin’s temperature and provides phenomenal hydration. In our opinion, it’s a must have treatment when you stay with us! 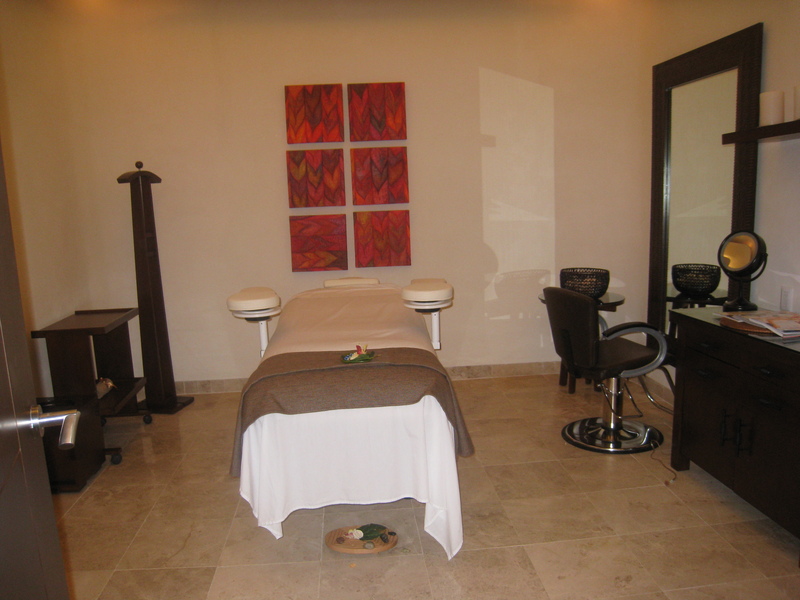 To book a spa appointment during your vacation, simply visit our spa upon arrival. 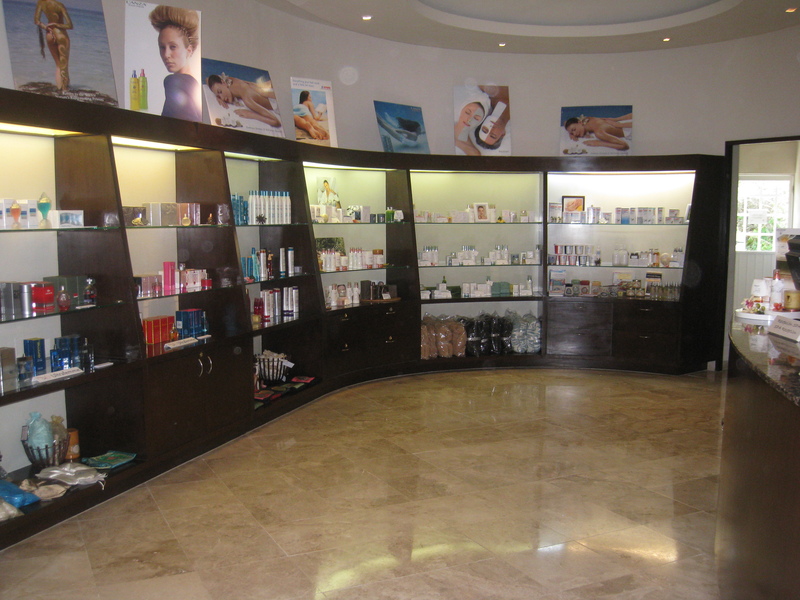 Pevonia Botanica is a leading brand in the spa industry celebrating their 20th anniversary! Pevonia takes pride in their products and invigorating approach ensuring each guest experience is unsurpassed. Discover exceptional treatments that revive your body, refresh your mind and renew your spirit. 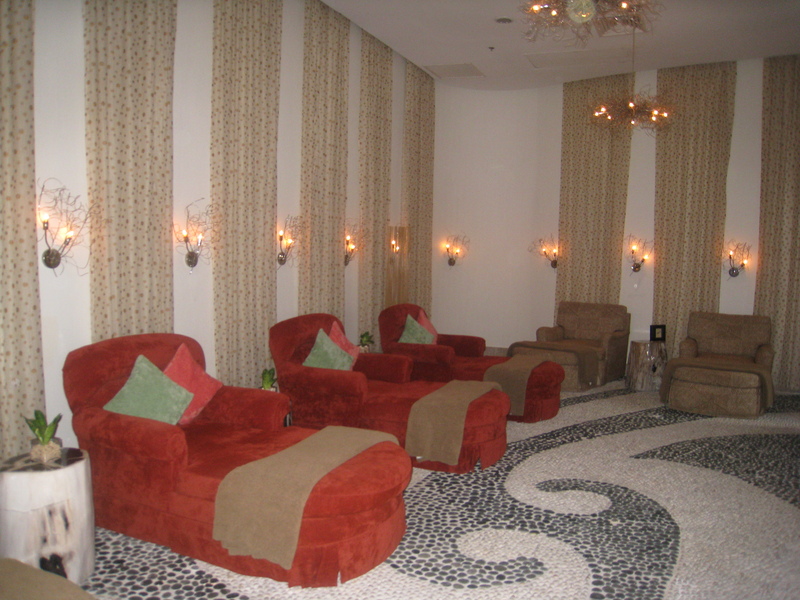 Kick back and relax in a tranquil environment while letting the stresses of your day melt away. Book the Secrets Unlimited Spa Package now so you don’t miss this exclusive offer. Read the terms and conditions that apply before booking. The package is only available for a limited time. 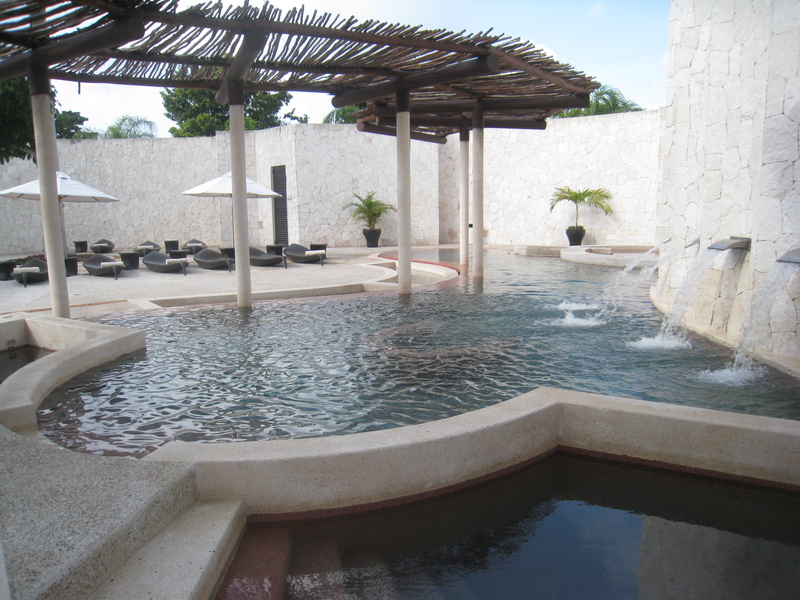 The Unlimited Spa package is valid for new reservations for travel now until December 23, 2011. Hurry-book now! 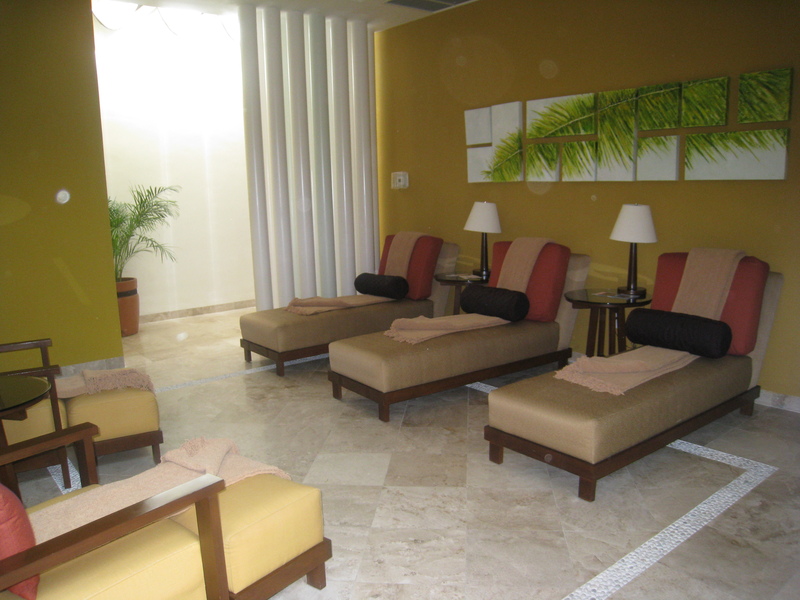 Situated in the Riviera Maya Jungle, Secrets Spa by Pevonia at Secrets Capri Beach Riviera Cancun stretches over 13,000 sq. feet, allowing for ultimate relaxation and a chance to spoil yourself both physically and spiritually. For guests seeking a sanctuary for the senses, Secrets Spa by Pevonia offers a sublime atmosphere of pure indulgence combining hydrotherapy and indigenous treatments to create a refreshing, invigorating and peaceful experience. Guests can indulge in their choice of the most soothing, relaxing and result-driven treatments in one of our 11 finely appointed treatment rooms. Our full service spa is divided into eleven treatment rooms consisting of multi-functional spa suites, dedicated massage suites, four couples’ massage rooms, two facial rooms, one Bridal Suite and one Master Suite. The spa also features a full-service salon, a fitness gym, relaxation lounge, as well as a hydrotherapy area with a sauna, steam rooms, whirlpool and private showers. The various treatments at the spa will nurture your mind and body and leave you relaxed, refreshed, and revitalized. Guests can indulge in decadent treatments such as the Chocolate Body Wrap, which includes a chocolate and mint exfoliation, followed by a warm chocolate wrap leaving your skin deeply nourished and silky-soft. Or for those seeking optimum relaxation, they can try our Aromatherapy Massage, which includes an enticing blend of aromatic oils that will delight your senses, release unwanted tension and expel toxins, inspiring your body to rediscover its harmonious balance. 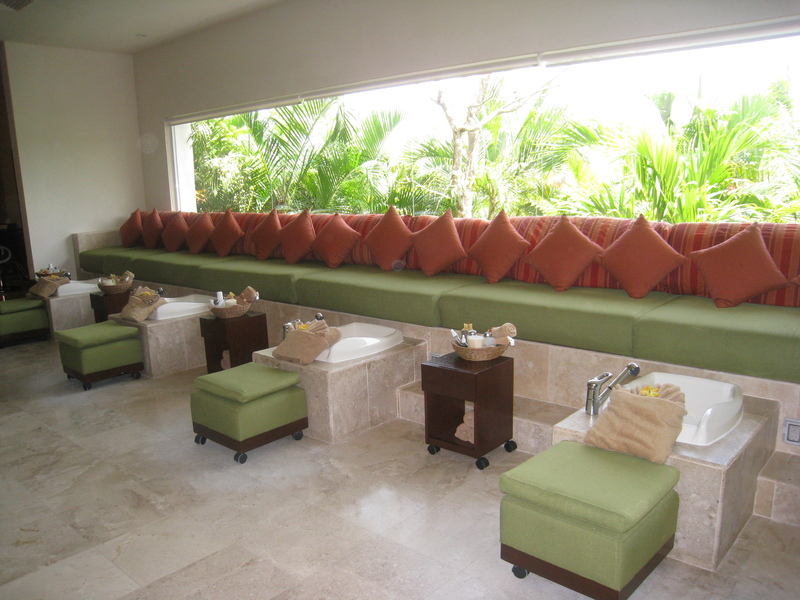 If you’d like to reserve your spa treatment prior to your arrival, please email out Spa Manager at spa.secrc@secretsresorts.com. 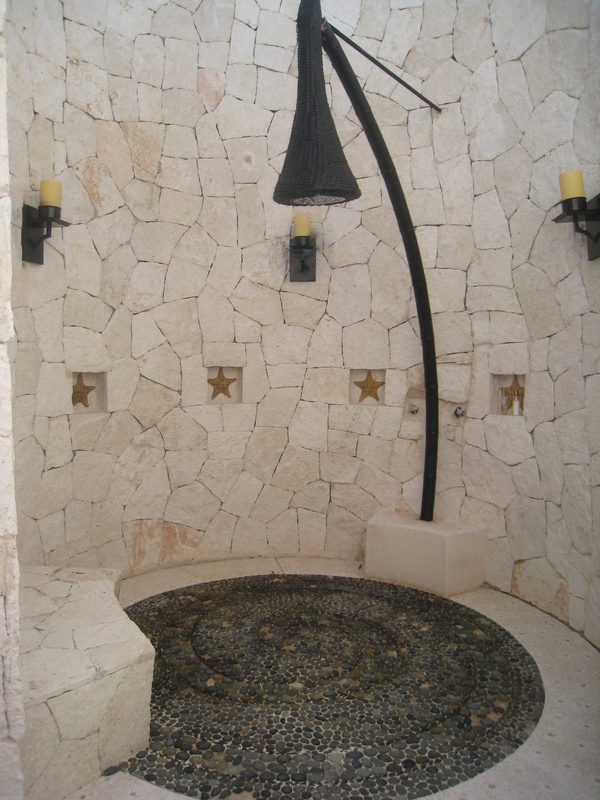 In the meantime, here’s an inside look at our beautiful spa! 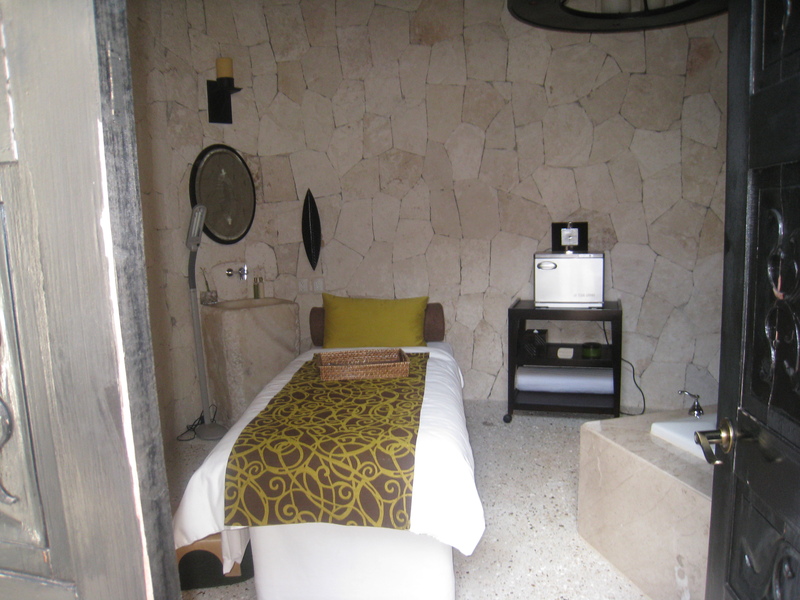 Secrets Spa by Pevonia at Secrets Maroma Beach Riviera Cancun is a beautiful sanctuary of revitalization featuring breathtaking surroundings and soothing treatments inspired by the natural blessings of the Yucatan Peninsula. The 13,000 sq. ft. space offers a sublime atmosphere of pure indulgence that combines hydrotherapy and relaxing treatments to create a refreshing, invigorating and peaceful experience. The various treatments at the spa will nurture your mind and body and leave you relaxed, refreshed, and revitalized. The spa consists of 19 treatment rooms with showers, suitable for private or couples massages, facials or body therapy treatments. Our Spa also features a full-service salon, a fitness gym, indoor and outdoor relaxation lounge, as well as a hydrotherapy area with a sauna, steam rooms, whirlpool, hydro-massage and spa showers. Guests can indulge in irresistible treatments such as the Tropical Escape Body Wrap, drenched with papaya and pineapple, also enriched with crème fraîche natural butter, calcium, a high content of vitamin a, pomegranate extract and other anti-aging ingredients. 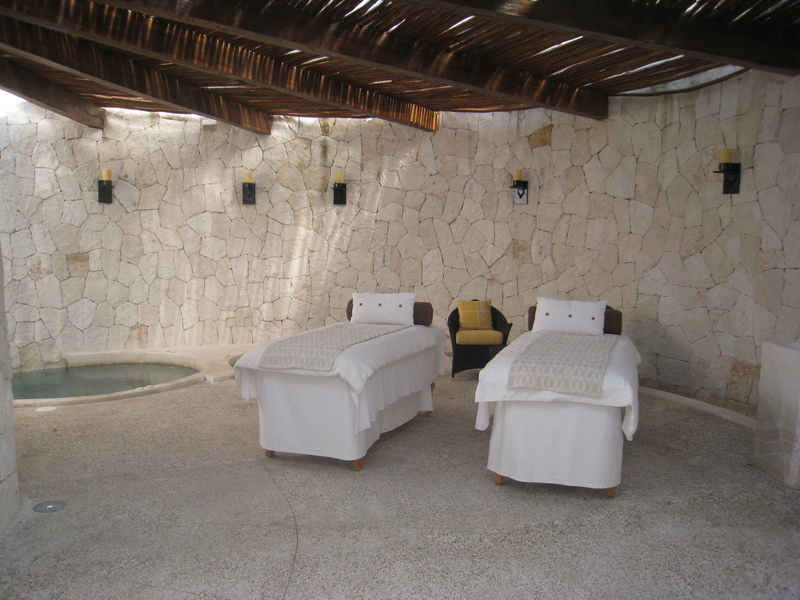 Or if they are looking for something more romantic, they can reserve our outdoor Honeymoon Spa Suite for an incredible couples massage, followed by a dip in the room’s private Jacuzzi. If you’d like to reserve your spa treatment prior to your arrival, please email out Spa Manager at spa.semrec@secretsresorts.com. In the meantime, here’s an inside look at our beautiful spa!